A recent study revealed that the cannabis from a federally authorized cultivation site is genetically closer to hemp than the cannabis varieties currently available at dispensaries. So what’s the big deal? Why not do research on marijuana from other sites then? And that their research-grade marijuana is closer to hemp than cannabis is… problematic. This wasn’t the first study done on the only federally authorized research-grade marijuana, which happens to be cultivated at the University of Mississippi. 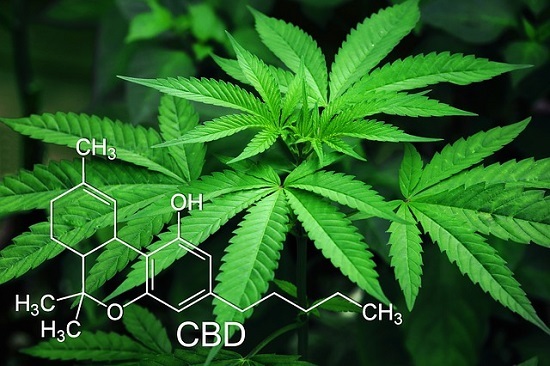 Previous studies found that the marijuana – funded, interestingly enough, by the National Institutes on Drug Abuse (NIDA) – had lower levels of THC and CBD when compared to commercial cannabis products. Intrigued by this, researchers at the University of Northern Colorado set out to understand the genetic variances. It was a comprehensive study that looked at 49 different cannabis samples, including the NIDA-supplied marijuana, various commercial-grade indica, sativa and hybrid strains, and hemp. Much to the surprise of researchers, genetic analysis revealed just how different NIDA’s marijuana is from the cannabis most people are consuming. Research-Grade Marijuana Is Closer to Hemp? As we said before, this is problematic. The main concern being, of course, just how applicable the results of research using the government marijuana are when it comes to evaluating the effects of products people are consuming. Federally approved marijuana research has relied on the NIDA supply. If the research was solely concerned with THC and CBD content, the samples might be useful. But study participants who consume the NIDA varieties could be experiencing effects that are quite different from those getting their marijuana from dispensaries. “As the interest for medical Cannabis increases, it is important that research examining the threats and benefits of Cannabis use accurately reflect the experiences of the general public,” the researchers wrote. It’s no secret that the limited supply and lack of diversity of cannabis varieties available from this sole source in Mississippi is hindering research. That’s why Attorney General William Barr recently received two letters from a group of bipartisan senators stressing the importance of kicking up the number of federally authorized growers of research-grade marijuana. In one letter, the senators point out that adding more facilities wouldn’t represent a violation of international treaties. In the second letter, they focus more broadly on the need to expedite processing applications for additional cultivators. “Our nation’s need for meaningful federally sanctioned research is critical,” the senators write. Now it’s up to Barr and the other folks at the Justice Department to make it happen. The fact that the sole source of research-grade marijuana is closer to hemp is a little unnerving. But at least there are responsible lawmakers in D.C. doing their part to advocate for the industry. In the meantime, if your cannabis business could use a little more publicity, we’re here to advocate for you. Contact us today to see how we can boost your public relations.